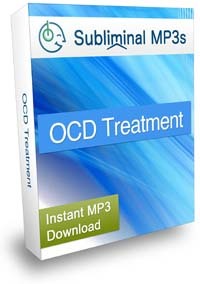 Overcome your OCD and get on with your life with help from our powerful obsessive compulsive disorder treatment subliminal audio album. Are you plagued by the need to repeat certain rituals? Perhaps when leaving the house, entering a room or getting washed? Do you have certain compulsions which you just have to do? Just imagine how different your life would be if you were free from these obsessive compulsions, if you were free from obsessive thoughts and behaviours - the things you could do with your life, and the things you could get done! 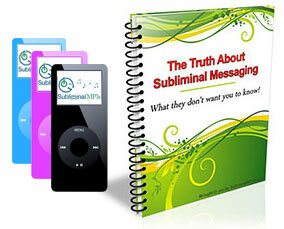 Subliminal audio is one of the most effective ways of overcoming your OCD because it all starts within the mind, and once you change your thought processes and the way you think on a deeper level then you can destroy you compulsive thoughts and eliminate long held obsessive habits. Target your subconscious mind - and eliminate your obsessive and compulsive thoughts from the inside out. Help you to think more rationally and logically. Help you to develop the strength to break your obsessive habits. Help you to stay strong against and resist your compulsions. Make you think differently and help you to overcome your OCD tendencies forever. As you first start using the OCD treatment album you will feel calmer, and relaxed and less on edge. As you continue to listen over a period of a few days to a couple of weeks you will begin to feel alleviated from your OCD symptoms - from obsessive thoughts and the need to repeat obsessive habits over and over, as you progress with the album you will gradually eliminate more and more of your OCD tendencies and change your behavior on a deep level. Download this album today and you could be making powerful changes to your subconscious mind to eliminate your OCD within minutes.